Local fruit growers are predicting a good apple picking season and want consumers to know they are open for business despite the recent severe weather. “Our hearts go out to our friends in farming who have been wiped out by horrible weather this past month, but for the most part, the apple crop came out OK,” said Peter Gregg, spokesman of the New York Apple Association. 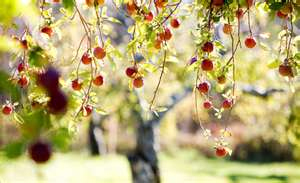 In the Hudson Valley, most orchards are on high ground, and weather in July and most of August consisted of plenty of sunshine, Gregg said. As a result, the apple crop is sweet and juicy, he said. At Mead Orchards, just north of the Village of Red Hook, Cortland, Fuji, Golden Delicious, Macoun, Senshu and Shizuka varieties are ready for picking this weekend, when weather is expected to be in the mid-to-high 60s and sunny, according to the National Weather Service. Norman Greig, of Greig Farm in Red Hook, said his pick-your-own farm is open daily, with raspberries and apples that are ripe. Hudson River Fruit Distributors in Milton, which buys fruit from about 10 farms locally and sells to grocers in the tri-state area, reported apples are “very nice, despite Mother Nature being aggravated ,” said Pat Ferrara, sales director. Unlike last season, when the varieties ripened a week to two weeks ahead of schedule, this year, they are on target. New York state ranks second nationally in apple production. The Hudson Valley is a major growing region for the state.